I recently ordered some BASK (Beauty Assortment for the Sun-Kissed) products. 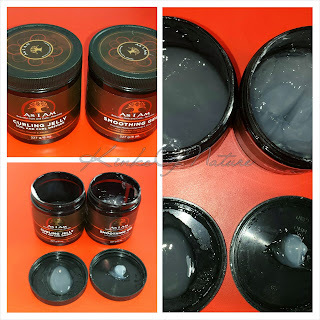 I'm very impressed with the products I got and the owner (Rashida). I will definitely be purchasing from her again. Ingredients: Distilled Water, Prime Pressed Cocoa Butter, Virgin Coconut Cream, Kukui Moluccana Seed Oil, Agave Nectar, Behentrimonium Methosulfate, Raw Cocoa Powder, Amalaki Fruit Powder, Cetyl Alcohol, Guar Hydroxypropyltrimonium Chloride, Butylene Glycol, Phenoxyethanol and Ethylhexylglycerin. Thoughts: I'm loving it. I wasn't thrilled about 8oz for $20, but it is comparable to and cheaper than some deep conditioners on the market. It smells edible, no lie, I was tempted to lick it when I first opened it. The scent is not overpowering so those who are fragrance-sensitive need not worry. I deep condition with it overnight. My hair is left soft as with any DC, but what impressed me each time I used it was how my hair dried. It was very smooth, soft, and moisturized, but not over-conditioned. I could have left my hair as it was and not used a leave-in, that's how good it felt. 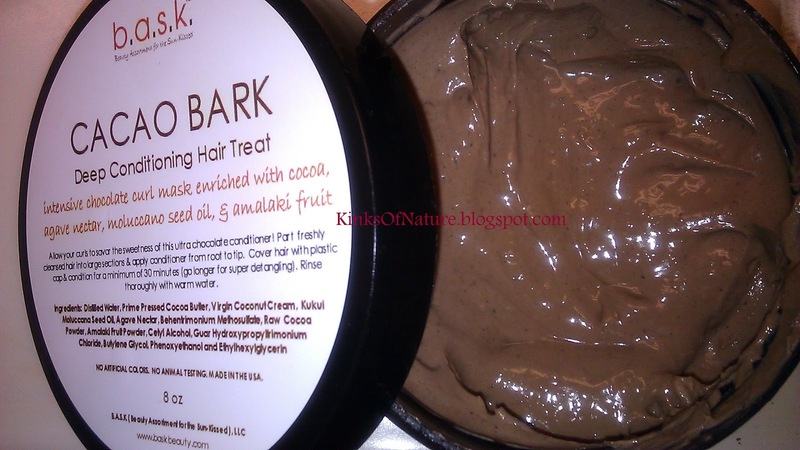 BASK Cacao Bark Deep Conditioning Hair Treat retails for $20 (8oz) and is available online. This is currently my HG deep conditioner.